Doodlecraft: Leather Foil Iron-on Vinyl Name Gift Tag Keychains with Cricut Maker! Leather Foil Iron-on Vinyl Name Gift Tag Keychains with Cricut Maker! This post is sponsored by Cricut. Affiliate links included. Opinions and ideas are mine. Hey friends, here's a super fun way to customize gifts with a custom keychain gift tag! Did you ever look for your name on a keychain at a trading post or gift shop? Even though my name is Natalie, it was really hard to find. There's loads of names that are spelled differently too, like our Hailee. You can find Haley spelled a few different ways, but rarely her way. Have you found your name on a keychain before? 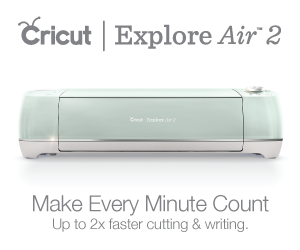 The Cricut Maker is amazing...totally a step up from the Explore Air 2, which was awesome. If you are in the market for a machine...get the Maker, or you will always wish you did. The Maker can do things that no other machine before could. It has extra pressure power, so it can use the knife blade, scoring tool or the rotary blade, which are all major game-changers. 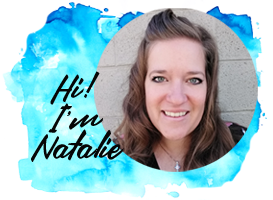 Here's some answers to Cricut Maker FAQ. The Cricut Maker is a big investment, but the amount it can do is limitless! I use my Cricut every day of the week. Save time, make gifts, make all the things. Amazingly, I won my Cricut at a sewing event, raffle style! I was thrilled, but want my Cricut to "pay rent" for taking up desk space. I was able to "pay off" my Cricut in just a few months using some of these techniques. The Cricut Maker has so many more options, and therefore, many more ways to make money (if that's your concern). If you are a newbie, spring for the Maker--or you will always wish you did. The learning curve is quick, you'll start with paper and vinyl and then move quickly to iron-on and more. In no time, you will want to cut fabric, wood, chipboard, leather...you'll want to score paper, you'll want to cut fabric patterns. Get the Cricut Maker so you have room to grow. Let me show you how easy it is to make these darling name keychains...perfect for gift tags that can then be used as zipper pulls, keychains, luggage tags and more. Design Space is easy to use and learn...it's very user friendly. Cricut Design Space comes loaded with lots of fonts, images and features, so it's ready to use as soon as you plug it in. You can upload your own images easily, but today's project will just be using a Cricut Font. Create a new canvas and open a text box. Type the name of the person you love and select the ZOO DAY font on the drop down list. It's a perfect all-caps font that works great for this. After typing out the name, decrease the "letter space" so the letters begin to touch each other. Make each letter touch the ones before and after it. You can check out my project here, but you'll need to create your own custom names. Then make both layers visible. Change the color of the top layer to the color of iron-on vinyl you are going to use...or close. One version of the name needs to just have the background visible...the other the foreground. Then select each individual name and weld it. This will merge all the letters together into one solid piece. After welding, there is one solid background and one solid foreground of each name. Select all the blue names and weld or attach them together. Repeat the welding for the yellow names. Then click the make it button. It will bring the welded or attached words up on 2 separate mats. Mirror the image for the foreground mat. Then place the iron-on vinyl on your mat with the shiny side down. Set the machine to the Iron-on Foil setting. Insert into the Cricut Maker and click the "C" cut button. It will cut the image out beautifully with the fine point blade. Once cut, remove the iron on vinyl and trim the edges. Place it on top of your Cricut Bright Pad and it's a breeze to see where to weed. Use the weeding tool to remove the excess vinyl. Now prepare for the second mat, the leather. Cutting leather was never so easy as it is with the Knife Blade and the Maker. Use the contact paper to help protect your cutting mat from the leather. Remove the packaging from the leather and turn it over to the rough side. Place it on the clear contact paper and stick it down securely. Trim the plastic around the leather. Cut the leather down to 11" across. Slide the rollers all the way to the right on the machine and place the knife blade in the machine. Make sure you have previously calibrated the knife blade. Place the contact paper covered leather backside right onto the strong grip mat. Place it in the Cricut Maker and have the knife blade cut the leather with ease. Mine just needed 2 passes to peel off easily with no damage to the mat. Peel off the contact paper from the mat without any debris left on the mat! Then take the contact paper off the leather. Place the leather name on the EasyPress mat. Then place the name iron-on vinyl right on top. Plug in the EasyPress 2 small size and let it heat up to 250*, which happens fast! Then cover the name with the Cricut Protective sheet and iron for 30 seconds. Remove from heat and let them cool down completely. Then peel off the plastic carrier sheet from the iron-on vinyl. If it needs to be re-ironed, cover with the protective sheet and iron a few more seconds. They look great, now to make them keychains for gift tags. You will need a lanyard keychain for each name and the TrueControl knife. Cut a tiny slit using the knife on the self-healing mat, just big enough to slip the lanyard keychain through it. Attach the keychain and it's done! Repeat for all the name tags! They shine and shimmer in the sunlight! And they look fantastic on a plain gift! Honestly, I am the worst gift wrapper...my corners are never crisp...they overlap and bulge...but, with these amazing name tags--the gifts look amazing! There are so many things that a Cricut Maker can do...if you've been considering one, now is the time to get one! 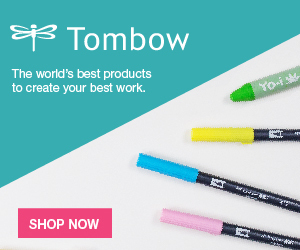 Get a Cricut Maker bundle so you have everything to get you started making! Like, Pin, Share and Comment!